A recent analysis of popular branded paints by Quality Council of India, the officially-santioned accreditation authority, in association with Consumer Association of India, reveals unacceptable amount of lead in paints, hazardous to human health and detrimental to a child's development. 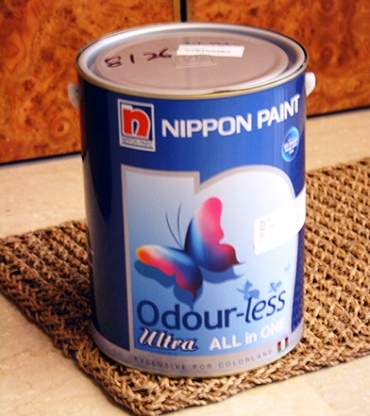 The study examined paints of all major manufacturers, such as Asian, Berger, Nippon Pylox, Dulux, Nerolac, Gem, Alfa Coat, Primer, Agsar and Lakshmi. The study was funded by QCI, with technical support from National Referral Centre on Lead Poisoning in India. These were regular enamel paints, used for decorative purposes in households and were tested in laboratories vetted by the National Accreditation Board for Laboratories. QCI was founded in 1997 by the Union government, in collaboration with the three main chambers of business -- Federation of Indian Chambers of Commerce and Industry, Associated Chambers of Commerce and Industry and Confederation of Indian Industry), to establish and operate a national accreditation structure, to promote quality standards. It answers to the department of industrial policy and promotion under the ministry of commerce and industries. 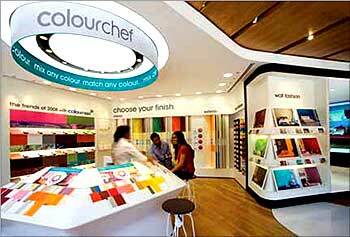 The report says Asian Paints used minimum levels of lead and Kansai Nerolac was next among those using the least. 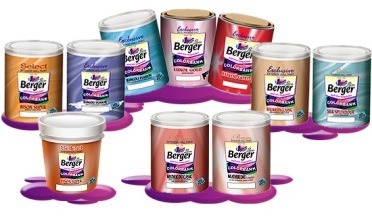 Samples of Berger Paints contained the highest levels of lead content. Less popular brands showed excessive amounts. Girdhar J Gyani, secretary-general, QCI, said, "The Bureau of Indian Standards, which is voluntary, has permitted lead content in paints up to 1,000 ppm (parts per million), while WHO and other international organisations recommend up to 600 ppm and are now revising it to 90 ppm. "It is unfortunate that paint manufacturing industries are not complying or concerned with lead-safe standards as globally implemented." QCI and CAI have sent their findings to the ministry of commerce and industries, with copies to the ministry of environment and forests and the ministry of consumer affairs, requesting the government to implement strict regulation. The report suggests penalties for misleading advertisements, banning usage of lead pigments and lead octate in paints and compelling all paint companies to indicate lead content on the containers. QCI would be holding a meeting on Wednesday in Bengaluru with all major paint companies, CAI and NRCLP to discuss the consequences and preventive measures. QCI would also be communicating to the Central Board of Secondary Education (covering 14,000 schools), the Kendriya Vidylaya Sangathan (1,000 schools) and all state government boards to promote usage of lead-free paints on swings, rides, buses and walls of classrooms. QCI will also suggest to the government a 'voluntary certification framework', to enable the accredited product certification bodies to label the paint companies. While Asian Paints have reportedly said they'd comply with the findings and consider indicating the lead content on packages for every batch, Berger refused to talk to CAI. "Asian and Nerolac both showed minimum lead usage and would think over indicating the lead content on packages. "They are ready to co-operate with us to find relevant methods. Berger, that has been advertising heavily and misguiding people about its products, has refused to talk to us", said Gyani. Hemant Somani, marketing head, Akzo Nobel India, the mother company of Dulux Paints, said: "Dulux Paints in India follows the same stringent European standards and superior technology that it follows worldwide. We would like to study the report by QCI in detail and match their parameters with ours, post which, we will be able to comment on the findings. "However, we are committed to the cause of sustainability and follow our global agenda of creating environment-friendly paints." 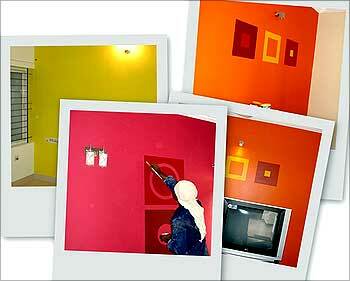 Said H V Bharuka, managing director of Nerolac Paints, "We have been the first company to promote lead-free paints. Our ranges, decorative and automobiles' paints, are lead-free and we had been creating awareness through our advertisements. 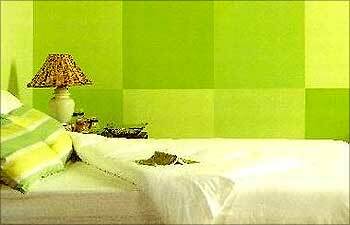 We are proactive in our approach in creating an eco-friendly environment." Lead poisoning is grave in India, with 53.5 per cent of children below 12 years having blood lead levels above the acceptable benchmark of 10 microgrammes per decilitre. High levels in children affects growth of intelligence; at high levels, lead can cause encephalopathy and even death. At high levels of exposure, it can also severely damage the brain and kidneys, in adults, too. Most retained lead is stored in the bones. In pregnant women, high lead levels may cause miscarriage or be even transferred to her baby, with the same potential for disastrous neurological effects. "The rapidly developing baby's nervous system is most vulnerable to the poisonous effects of lead. Whether it enters the body through breatyhing or swallowing, it targets the nervous system, in adults and children alike," said Gyani. 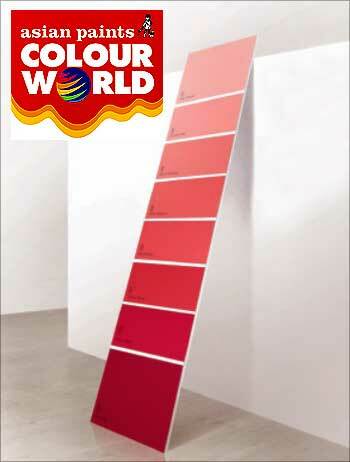 Gyani said, "The companies use lead to enhance shine in the paints, misguiding customers. This can be done away with if they use other chemicals that would add only 10 per cent in the total manufacturing cost. "This loss is very low as against the losses and endangerment lead causes to our people. "The situation is grave, as we have been opposed by the industry association. "We now plan to proceed with creating awareness among people about lead's poisonous effects on health." "We have been able to create massive awareness about lead's poisonous effects and its prevention in the south, by teaching teachers and students there. We are happy that people have started using either non-painted or natural-coloured idols in the Ganesha-Visarjan and Durga Puja since the last two years in Bangalore and West Bengal, respectively, after our persistence", Gyani said.